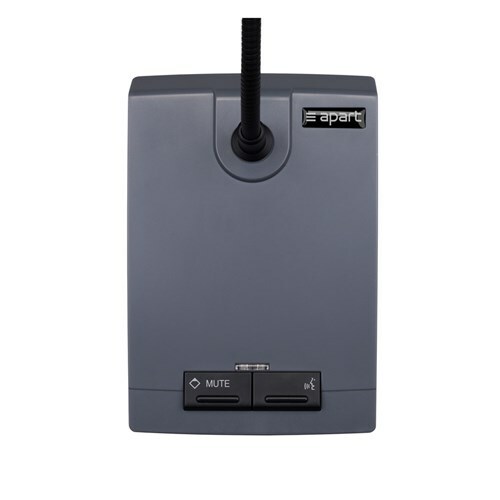 The Apart MDS microphone discussion system is a highly flexible small to medium size tabletop discussion system. This easy to set up and to easy to use audio system is the perfect solution for meeting rooms, board rooms and medium conference rooms. This discussion system consists of a chairman unit (MDS.CHAIR) and up to 19 delegate units (MDS.DEL). The connection interface (MDS.INT) is located at the beginning of the microphone chain. 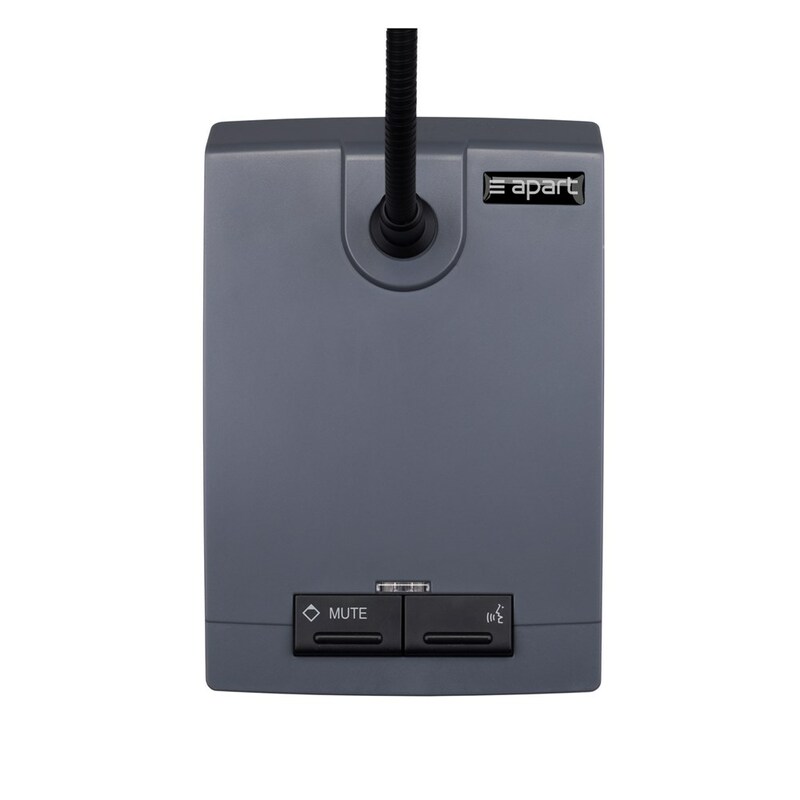 This MDS system has a unique circuit loop design with an easy set-up using standard CAT5 cables for linking up to 20 units in a daisy chain (every microphone and switching adaptor can be located anywhere in the loop). When the chairman presses the mute button, only the chairman unit will be active and all delegates will be muted and deactivated. 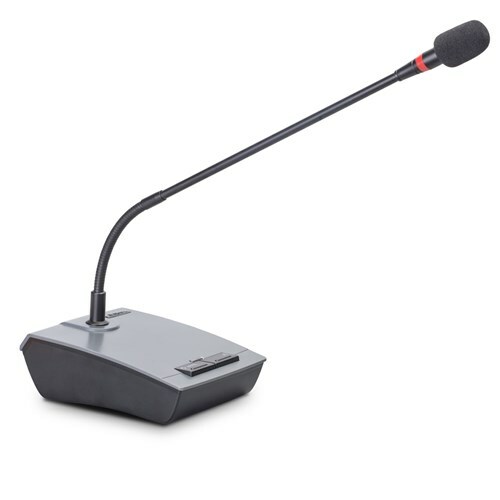 The delegates can press a button to talk into the flexible gooseneck microphone (no mute function). 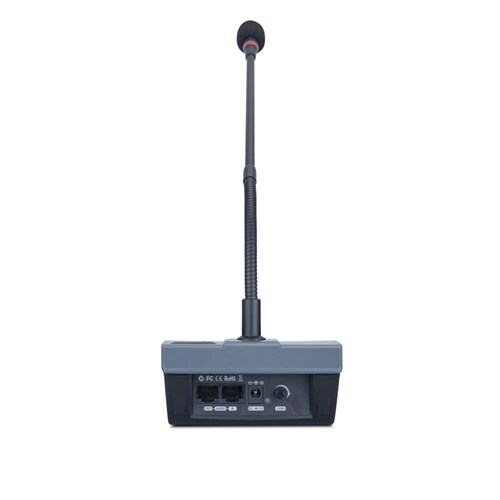 The MDS.INT easily connects to any pre-amplifier or matrix with a MIC input with wide gain control (about +20dB of gain needed), allowing you to control the volume and/or use the record output for recording the meeting. 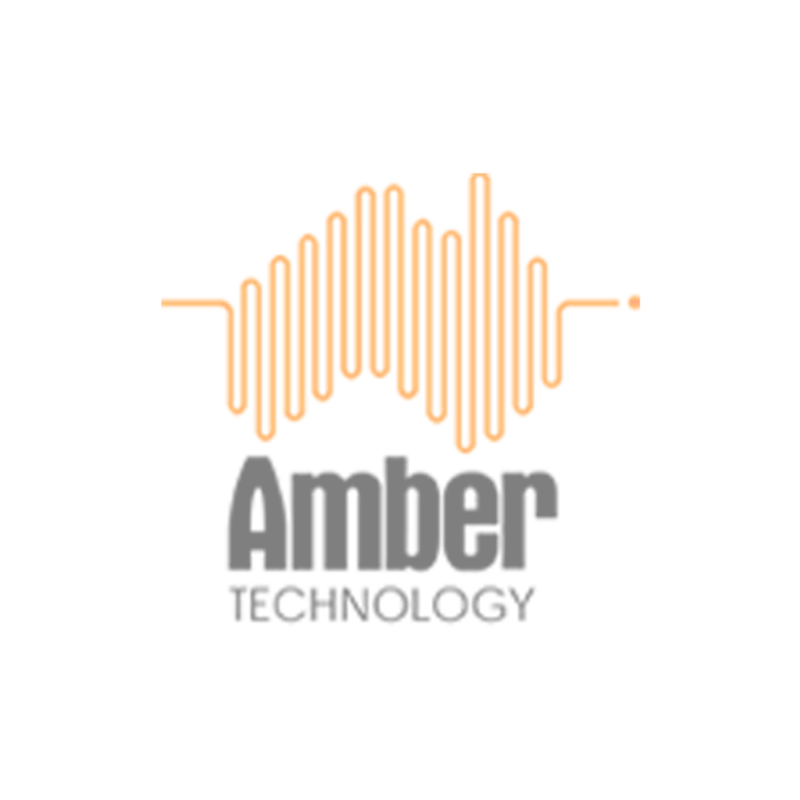 Combined with the CMX20T ceiling speakers or MASK4 cabinet loudspeakers, you will have an astonishing voice clarity!